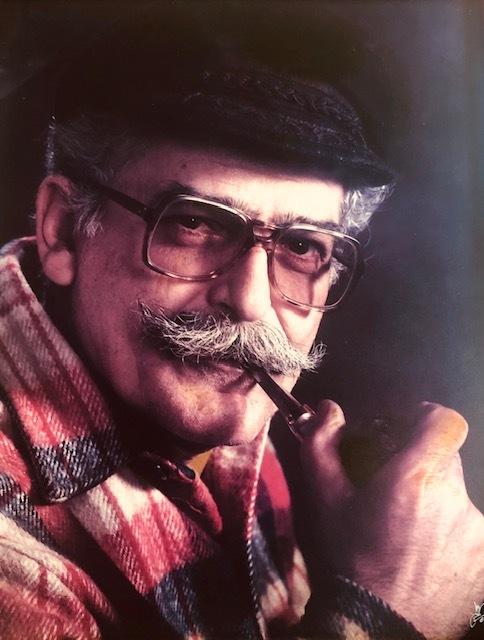 George Nicholas Panagis of Wintersville, Ohio passed away peacefully Thursday, March 21, 2019, surrounded by his family. George was born on March 27,1929 in Angastina, Cyprus the youngest of eight children to the late Panayis and Elpiniki Christodulides. He immigrated to the United States in July 1952 where he earned his bachelor’s and master’s degrees in physics at Geneva College and the University of Pittsburgh, respectively. George is survived by his loving and caring wife of 53 years Stella, his children Sophia Panagis of Pittsburgh, Pennsylvania, Nicholas and Maria Panagis of Cincinnati, Ohio, Panayis (Pete) and Pauline Panagis of Greensburg, Pennsylvania and Elpi and Dean Adamantidis of Columbus, Ohio. His greatest joy was being Papou George to his beloved grandchildren, Alexandra, George, Ava, Elias and Dimitri. George is also survived by his devoted brother, Archdeacon Euripides Christulides (Mary), formerly of Pittsburgh Pennsylvania. In addition to his immediate family, He leaves behind many nieces, nephews, godchildren, symbetheri, koumbari, wonderful neighbors and friends as well as his loyal calico cat, Durbin. George was employed by National Steel and Weirton Steel in Research and Development until his retirement. George loved to learn and to share his knowledge. His lifelong interests included gardening, reading, woodworking and repurposing anything he could find to something functional yet meaningful. George was a longtime member of Holy Trinity Greek Orthodox Church where he served as a chanter for nearly 40 years. The Panagis family wants to express its gratitude to all the dedicated caregivers, clergy and friends for their prayers and support. May his memory be eternal. In lieu of flowers, the family requests that donations be made to the Holy Trinity Greek Orthodox Kitchen Fund, 300 South Fourth Street, P.O. Box 788, Steubenville, OH 43952. Calling hours will be Saturday from 9 am until time of services at 11 am at the Holy Trinity Greek Orthodox Church, Fr. Nick Halkias will celebrate. Burial will follow in Union Cemetery.